Unable to fall back asleep after a 1 a.m. bathroom break I quietly laid still, trying not to think about what I was about to attempt, the excitement beginning to build nonetheless. When the alarm finally hit at 3:15, what was at most a fantasy this time a year ago was suddenly a reality: I would be attempting to run 42 miles from the Grand Canyon’s South Rim to its North Rim and back, and I would be attempting to do it faster than anyone is known to have done it before. “The day of reckoning,” we said and laughed as we went old school with Eminem and Snoop Dog to begin the day. Stirring nearby was my partner Christina, and good friend Brian, both themselves feeling the anticipation. Drinking coffee from the Jetboil and dancing to the music, we soon found ourselves in the car with the high beams on watching for elk as we entered the park headed for the South Kaibab Trailhead. Brian and Christina sat in the car while I walked to the rim, the light from my headlamp disappearing into the abyss below. I stood here before, these oddly quiet serene moments on the rim before it begins. Even in the half light the blackness before me left a knot in my throat. The Canyon, each time, demands your respect. It was calm and I could already feel the heat and energy radiating up, I paused and began to set my mind to what lay ahead. Living in Flagstaff, I had years of experience inside the Canyon, a record of successes and failures and adventures with friends that had nothing to do with time. Despite all those runs, and telling myself this was just another, the electricity inside me made it hard to deny this was different, and I knew it. Too much to think about, I stopped myself. I found myself doing some drills and stretches to loosen up and whittle away the final nervous minutes before the planned 5 a.m. start. I’d been hearing what I thought were the mules rustling in their pens, but in reality were mule guides preparing a supply train about to head to Phantom Ranch. A run like this begs a runner to master everything in their control, yet so many factors outside of that control can change everything. One of those elements in the Canyon is a mule train. All the speed and strength in the world doesn’t mean a thing when your perfect run is turned into a walk behind a line of one of these. Almost humorous it can come down to that. With Brian and Christina waiting at the rim, I was just finishing loading my supplies and removing layers when I saw the silhouette of the train making their way toward the trailhead. My heart skipped a beat as I sprinted towards the rim, suddenly in a race to arrive ahead of the mules in the early dawn light. Arriving in a dead heat, the mule guide was kind enough to allow us a few brief moments to gather ourselves, an omen foretelling the magical hours to follow. With adrenaline hitting its height for the day, I took one deep breath and with a click of the watch Brian and I dropped below the rim. The poor light the first 10 minutes helped reign in the pace and I quickly settled into a comfortable rhythm. I felt like I was floating, rolling well on the flatter stretches and happy to be tackling the steeper grades with noticed improvement in my technical skills. Approaching Skeleton Point, I consumed the first of 12 gels I had tucked in various pockets and taped to my handheld. My strategy entailed staying ahead on nutrition and I planned on two gels for each distinct section of the run. Shortly after I exhausted my bottle and tucked it in the back of my shorts, taking any opportunity to free my hands. We crossed the Tonto Trail before I knew it as we continued in comfortable silence. Shortly after Tipoff, I asked Brian not to mention our split when we hit the river. I wanted to run my own run and not be chasing splits along the way, deciding the North Rim would be the first time I’d check my watch. Soon enough we crossed the Colorado River, cool air emerging through the openings in the bridge below us. I shook my body out, relieved the toughest descent was over and looking forward to the long stretch of smooth trail ahead. Just after the bridge Brian gave me a few last words of encouragement as I headed to Phantom Ranch. I wouldn’t see him again until hours later at Skeleton Point on my way back up the South Rim. Immediately I was alone, but ready to face the Canyon. With the real work still ahead I remembered a mantra R2R2R veteran Jason Wolfe often spoke—when you reach the river it hasn’t even started yet. It’s so simple. The most precious element inside the Canyon, which is never to be underestimated, is water. You may find no other adventure in your life in which such a simple element is so desperately sacred. Phantom Ranch, about seven miles in, was my first opportunity for water. I quickly chugged a bottle, refilled, and set off as hikers gathered to begin their day looked on in curiosity. Other times at Phantom I might take some time to answer questions, always the questions, but today there was urgency in my brief stops. Soon enough I found myself alone again. The park road to the North Rim hadn’t yet opened and I was fortunate enough to experience the emptiness and enormity of the Canyon in near solitude during the 28 miles north of Phantom Ranch. Heading through a narrow gorge with steep walls referred to as the Box, I began counting the bridges I crossed as a mental marker for my return trip, the sound of Bright Angel Creek and its flowing water my only companion. Doubts started creeping into my mind as I thought about the enormity of what still lay ahead—did I get in over my head on this one? I tried to refocus, reminding myself of my fitness, the long winter of skinning at altitude, and the confidence I’d gained from my first 50-miler two weeks earlier. I shifted focus again, this time to my senses—the sound of the creek, the heat radiating from the red rock, the distinct smell of the Canyon, and my rhythmic breathing. Undeniably you will hear the word “energy” used in describing the Canyon, and this is the truest feeling. I had many miles in the past where this energy scared me, intimidated me, broke me. Only through time did I learn to draw on this energy for strength, respecting the Canyon, giving it my best, and feeling it give back to me. In the Box, I worked to dispel my fears. Shortly after I was suddenly stopped in my tracks, staring at a sign for Ribbon Falls, absurdly questioning myself which way to go in the most straightforward of routes. The sign pointed towards what looked like the more traveled path, but also up a steep climb—not what I’d remembered from my north-to-south run last year. Needing to make a decision I broke left, following the trail across a dry creek bed and continuing along its northerly direction. I soon realized my mistake as the path quickly thinned and couldn’t be the corridor trail I should have been on. Chastising myself for the poor decision I flipped it back to the trail sign and continued up the climb, unnecessarily losing myself two precious minutes. Shaking it off, I soon found myself at Cottonwood Campground and my second stop for water. I guzzled a bottle, then refilled a second time, adding one of three packets of energy powder I’d brought along in zip-lock bags stuffed in my shorts. Feeling the pull of the North Rim, I worked quickly and was likely in and out in less than a minute. I’d found my rhythm for the day and was feeling strong and quick as I approached Roaring Springs where the moderate grades of the previous nine miles give way to the final steep climb to the North Rim. Still having a nearly full bottle I decided not to top off of Roaring Springs and continued on, catching my first glimpse of its namesake spring bursting out of the rock face in the distance. Passing through Havasupai Tunnel I downed the last of my fluids knowing it was less than two miles to the halfway point of the run. Hitting the start of a long stretch of sandy trail I began hiking, not wanting to fight the frustrating combination of steep grades and soft footing. The Pinyons and Junipers gave way to Ponderosa Pine with their distinct vanilla aroma and signaled the final stretch. Soon enough, there it was, the North Kaibab Trailhead kiosk. I quickly retrieved the video recorder from the zip-lock bag I had it in and began recording. Catching the kiosk and a quick panorama of my surroundings I shifted focus to my watch to record my running time and time of day. I was caught off guard to see I’d covered the 21 miles from the South Rim to the North Rim in just over three hours. Although I’d arrived at the North Rim feeling strong, I knew the quick pace couldn’t be sustained if I wanted to arrive at the river with any life still left in my legs. Leaving the North Rim I adjusted my effort accordingly, thankful to be descending after nearly 14 miles of ascent. Just past Havasupai Tunnel I clipped my toe on a smooth but steep section of trail. In the split second it took to impact the ground I wondered if this fall would be the end of my running for the day. Landing on my left side I slid several feet before coming to a stop, temporarily paralyzed by fear. My heart pounded, and everything else in the Canyon stood silent as I waited for the pain to arrive, but it never did. Picking myself up I scanned my body and finding nothing more than trail rash I continued on, mindful to be more conscious of the trail ahead. Shortly after I went to reach for a gel and discovered the remaining two gels in my left pocket had exploded on impact during my fall. Not willing to lose 200 calories, every one precious, I salvaged what I could, making a peanut butter mess of myself in the process. While unfortunate, in retrospect the gels could have spared me a bad hit on my hip and may possibly have saved the day! With the rest of the steep descent uneventful, I arrived at Roaring Springs and quickly mixed the second packet of energy powder into my bottle. Two miles later at Cottonwood Campground I topped off my bottle and bumped into Michael Wardian. I hadn’t met him before but knew he’d be in the Canyon attempting his own R2R2R. I quickly introduced myself and we wished each other luck as I headed out to continue my descent. At a small creek crossing I paused for a moment, splashing the cool water over my face and cleaning the peanut butter gel off my hands and out of my beard. Crossing the first set of bridges I was happy to be in the shade of the Box, but could feel the heat rising as I drew closer to Phantom Ranch. The second set of bridges never seemed to come, distress crept in. I was beginning to feel the toll of the day. My second stop at Phantom Ranch was the longest of the day. With no water available on the climb up South Kaibab and feeling the heat of the day, I tried to load up, putting down a bottle and a half before mixing my final packet of energy powder. I took a few deep breaths, reminding myself the fate of the run lay in the final, six-and-a-half-mile, 4,700-foot climb. Despite depletion and fatigue, and just a few miles separating me from the top, I was well aware that nothing was a given here. Many have heard the stories that occur right here, on this climb—strong men never broken whittled down to misery, forced to slowly walk out when running becomes impossible. Everyone knows it’s this moment that matters. Crossing the Colorado I looked at my watch the second time of the run. 4:49. I’d tempered the pace of the first half and reached the final climb tired but still feeling in control of the effort. Sweat trickled into the dust below me, giving to the Canyon, the Canyon giving back. I divide the final climb out into four distinct quarters in my head. The first quarter from the river to Tipoff is long, steep and exposed, but one that I feel energized by with sweeping red turns and several postcard views of the river. I began the climb hiking, quickly measuring the ascent with the goal of reaching the rim with nothing left but avoiding the wall I’ve hit too many times before. Thus, I fell into a hike/run pattern, hiking the steepest stretches, the tight turns of the switchbacks, and the highest steps while running whenever the grade lessened, however briefly, and taking advantage of any spots of shade. A friend on his way to the river saw me from above and his calm encouragement lifted my spirits as I passed him. Tipoff to Skeleton Point begins with a gentle stretch before hitting what many call “The Great Wall,” a long, very steep and exposed grind. Passing the first of three mule trains I’d encounter with little difficulty, I soon heard Brian’s voice from far above at Skeleton Point. I was encouraged and comforted by the familiar voice but also felt myself turning inward and beginning to suffer. I took a few moments to remind myself of the dark place I was about to enter, a shade of gray where the pain and exhilaration of the moment combine into a state of being I both fear and yearn for. I was relieved to hit Skeleton Point having finished the more difficult half of the climb, at least on paper. I could offer nothing more than a mumble to Brian as he settled in behind me and asked how I was feeling. I moved purposefully and refrained from allowing myself a glimpse of the rim, knowing from experience the sight is a false friend with 2,000′ of climbing remaining. Having exhausted the last of my fluids, I tucked the bottle away and felt the pang of thirst as I heard Brian drink from his water bladder. Cedar Ridge passed and I began the final short and gentlest quarter of the climb, my mind numb from the effort. Our friends Rob and Maureen had come from Flagstaff to catch the final minutes of the run and their presence on the trail reminded me of the love and support I have from so many in my life and how fortunate I am for it. Rolling past Ooh-Aah Point, I caught a final glance of my watch. 6:10. Knowing I had a little over 10 minutes remaining, I put my head down, lost in another reality, simply wanting the effort to be over. I turned deep inside, not hearing Christina’s voice cheering from above as I counted down the final eight switchbacks before the end. Rounding the final turn I slumped into the kiosk fumbling to stop my watch, completely overwhelmed. This part is hard to describe, and I’m not sure there are words. The watch on my wrist read 6:21. I had done it. It took some time for the many emotions to settle and organize in my mind. Collecting myself I walked to the rim, just like I had begun, taking a few moments to stand and look over the Canyon and reflect on the enormity of the effort, the power of the Canyon washing over me once again. I thought about the journey my running and life have taken the past few years, from meeting my partner in the mountains of Colorado, to injury, then surgery, and a recovery so long I doubted I’d ever run gentleman’s pace with friends again, let alone race and compete. I thanked the Canyon for gifting me with near-flawless conditions, sure the stars would not align so perfectly for me again. I thanked Brian, Rob, and Maureen for their support, hugged Christina and took the obligatory celebratory pictures. It was a day I’ll not soon forget. I will stick my neck out and say that a fit and rested runner who finds the Canyon in good condition could significantly lower the time. My prediction is that within five years the men’s record will be under six hours. Go ahead – call me out on that. It will happen. I feel compelled to offer a few brief thoughts on the future of running in the Canyon. 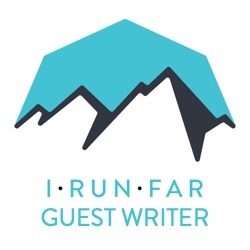 In recent years there’s been a considerable increase in the number of runners tackling the Canyon, and, unfortunately, a corresponding increase in tension between the runners, hikers, and park staff. Rangers are rightfully concerned for the safety of all visitors venturing below the rim. If they stop you to offer their thoughts and concerns, please take them to heart. The Canyon can be a brutal place to find yourself unprepared. Please be safe, know your limits, and understand the unique challenges the Canyon presents. Search-and-rescue efforts risk lives and come at a great cost. For many, a visit to the Canyon is a once-in-a-lifetime opportunity and everyone enjoys it at their own pace. Please be respectful of others on the trails, giving them plenty of warning as you approach to allow them time to safely react. Mule trains are luck of the draw and runners may find themselves unable to pass for some time. Leave plenty of space and wait for the mule guides’ permission before attempting to pass. The vast majority of runners are courteous, kind, and enter well prepared. However, a few bad apples can easily sour the opinion of others. I fear the consequences of continued tension could lead to further discussion of a permitting process for runners and result in decreased access for all of us. Finally, running and racing can be an inherently selfish endeavor and I’m eternally grateful for the unconditional love and support of my partner. Her patience and understanding help quell the guilt I sometimes feel chasing these intangible dreams. Wow, so good to hear from you Maria! I think this running thing all got started playing hide-and-seek with you in Fassett Court! From one running pharmacist to another, congrats that was a truely awesome achievement. That was an amazing run and a terrific account of the day. Thank you for sharing this. It was memorable to see you on your way up the South Kaibab trail as we were backpacking our way down that morning. We saw you just before you got to Skeleton Point as the two mule trains and the border to border horse train were jockeying for places to cross. A lot of traffic during that time. I was glad to see the path hierarchy was given to you. At this point in your run, it would be interesting if you noticed a 58 year old guy with a wide brim hat and a fairly large backpack, with eleven women spread out over the next 200 yards or so, all with backpacks. I do several sprint triathlons a year, but this accomplishment of yours is in an entirely different category. I just spoke of that very game to my siblings a few days ago. Good "court" memories! The family is doing well. I hope your family is well, too! I sent you two pictures taken on your run up South Kaibab trail. I sent them in a Facebook message as a last resort. Thanks Ken, cool coming across others who were on the trail that day. I never got the photos, why don't you direct message me on Facebook and I'll give you my e-mail. I sent the photos via Facebook message. My email is rubyredvette@hotmail.com. send me an email and I will send you the photos. Your run was awesome. Great report, great run.But why can't we see the videos? They're all marked private and won't play for me. Any chance of getting that fixed? Thanks!